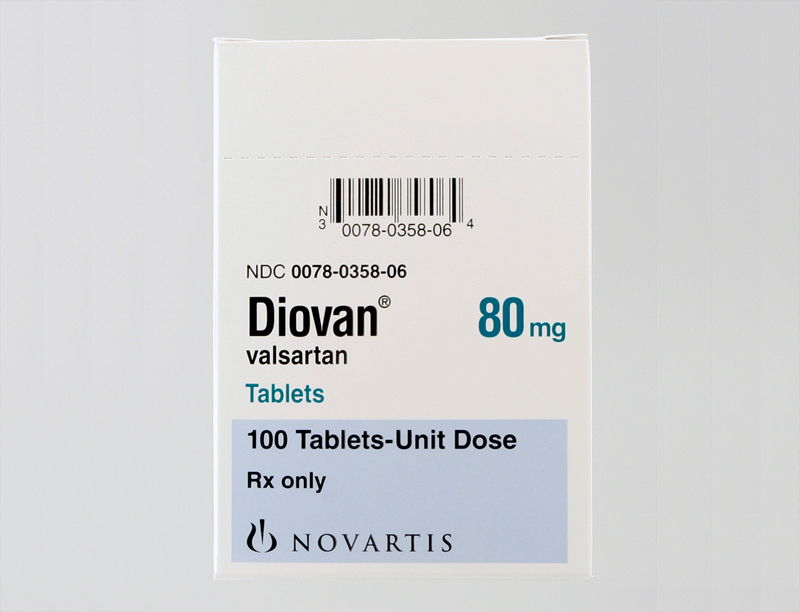 Diovan is the brand name of the generic drug Valsartan. An angiotensin receptor blocker (ARB), Diovan keeps the blood vessels open by blocking the hormones that cause the vessels to constrict. When blood vessels stay open without interference, the chance blood clots and disturbances in circulation are greatly diminished. 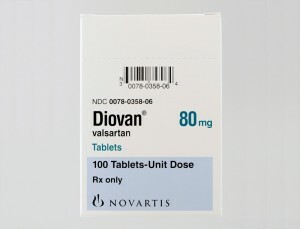 Diovan is generally prescribed to people with excessively high blood pressure or those that have a history of congestive heart failure or heart attacks. For this reason, this medication is used to prevent the onset of symptoms associated with cardiovascular diseases. Individuals who are at risk of cardiovascular disease or heart attacks may benefit from this pharmaceutical drug. Diovan works in the body by blocking the amount of angiotensin II that causes the blood vessels to constrict. Therefore, this drug enhances circulation throughout the whole body that can prevent the formation of chronic pain, inflammation, and diseases of other organ systems. Diovan promotes healthy blood flow and can also reduce sodium retention, resulting in improved heart functions and decreased blood pressure. Millions of individuals are prescribed Diovan each year, with the majority of patients being men and women over the age of 40. The most common condition treated by Diovan is hypertension, or high blood pressure. It is often prescribed in combination with other medications that lower blood pressure. Early side effects are similar to the symptoms associated with the beginning stages of hypertension and will usually lessen as the body becomes use to the increased flow of blood. Diovan is also prescribed to patients with congestive heart failure and to individuals who have suffered from a heart attack. Studies have found that Diovan may lower the risk of type II diabetes in glucose intolerant individuals and could prevent kidney damage in patients with diabetes. Diovan may also be effective in treating and preventing Alzheimer’s. Diovan is available in several dosages in both pill and liquid forms. It is important to take the medication exactly as prescribed by your doctor and to take it at the same time each day. Shake the liquid Diovan well before use and store it at room temperature for up to 30 days or in the refrigerator for as many as 75 days. If you miss a dose, it is okay to take it any time as long as it isn’t time for the next dose. In this case, just skip the forgotten one rather than doubling the dosage. Take Diovan with plenty of water. It can be taken with or without food. Diovan is generally prescribed to individuals who suffer from compromised immune and cardiovascular systems due to cellular imbalances. Novartis Pharmaceuticals Corporation is the primary manufacturer of this drug. Consequently, Diovan has been prescribed to patients over twelve million times in the USA. Since hypertension is one of the most common health conditions among Americans, Diovan is used to lower blood pressure to an acceptable range. Diovan is available as an oral tablet in different strengths. Diovan is available as a 40 mg, 80 mg, 120 mg, and 360 mg tablet that will be prescribed by a Doctor after physical analysis of an individual’s condition. It is recommended that individuals who are using any other medication should alert their Doctor before they begin using Diovan. Since this drug tends to cause fluctuations in body fluid levels, there is a risk of hepatic or renal disturbances. This medication should not be used by women who are pregnant as this drug has the potential to cause fetal toxicity. Diovan may not be safe for those who are concurrently using diuretics as this drug can cause hypotension in specified individuals. It is recommended to avoid potassium or salt in the diet as this can cause cellular imbalances and disturbances when taking Diovan. Those who have been taking Diovan for extended amounts of time may be susceptible to kidney disease as well as the likely formation of gallstones. Irbesartan—also known by its brand name, Avapro—belongs to a class of medications known as angiotensin II receptor antagonists. Carvedilol, also known by the brand names Coreg, Carvil, Carloc, Dilatrend, and Eucardic, is a controlled-release beta- blocker that is prescribed in tablet or extended-release capsule form.